Many organizations are investigating a “Cloud First” approach with their applications; to save on costs of keeping physical hardware, they want to offload the majority of their IT infrastructures to one or more external providers. While that prospect may fully come to fruition at some time in the future, applications and cloud technologies still have much to develop and change before most organizations will be ready for such a wholesale move. Software as a Service (SaaS) offerings: Public cloud SaaS providers are finding some good traction with organizations wanting to replace their expensive, bulky legacy applications, especially in such areas as email, CRM and payroll. VM hosting services: Large cloud providers offer a ready-to-go, elastic platform for application development and testing. This platform can be quickly scaled and just as quickly collapsed, based on how much active use or storage is required at any given time. Hybrid cloud services like Backup as a Service (BaaS) and Disaster Recovery as a Service (DRaaS): Many organizations have begun to move to more hybrid cloud services; this includes the use of cloud providers to help them better manage or extend their own backup and disaster recovery operations, should an emergency data loss occur. Regardless of the type of cloud service in use, however, the need to apply key backup procedures, including the 3-2-1 Rule, should still be approached. According to Network Computing, the 3-2-1 Rule is the, “Single most important rule to keep in mind when it comes to [protecting] a company’s data.” It’s as simple as this: your organization should create three copies of its data, retain it on two different types of media and store one of the copies in a safe, off-site location. What data protections are in place? Can they protect your data adequately so that it can be restored in an emergency or disruption, even to another cloud provider, if necessary? Disasters happen when you least expect them; is there an easy way to gain periodic offline copies of your data that can be sent to your primary data center? Most cloud providers make it a lot easier and cheaper for you to send your data than for them to send your data back out to you. WEI often leverages third-party software and services, as well as various cloud gateways, to help you move your data between cloud providers or from a cloud provider to your own facility. How well can the cloud provider help you accommodate any wider compliance, security and data protection needs associated with your data? When employing a cloud model, sometimes it can be hard for enterprises to know if they are complying with industry and governmental regulations than if they were using on-premise hardware and infrastructure. Ask your service provider what support they can offer you for complying with your industry’s regulations. It can be beneficial to have a trusted technology partner on your side when making backup and recovery decisions for your organization. 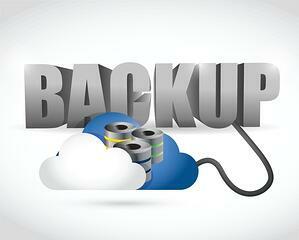 Contact WEI today to discuss how your organization can stay ahead of backup and DR technology.